Khidr literally means ‘The Green One’, representing freshness of spirit and eternal liveliness, green symbolizing the freshness of knowledge “drawn out of the living sources of life.” Whatever the source for this green may he, it has come to symbolize the benign presence of the divine wisdom as imparted by the Divine Himself to Khidr and to Prophet Muhammad. Qur’ânic commentators say that al-Khidr (‘The Green Man’ of pre-Islamic lore) is one of the prophets; others refer to him simply as an angel who functions as a guide to those who seek God. And there are yet others who argue for his being a perfect wali meaning the one whom God has taken as a friend. Khidr is associated with the Water of Life. Since he drank the water of immortality he is described as the one who has found the source of life, ‘the Eternal Youth.’ He is the mysterious guide and immortal saint in popular Islamic lore and the hidden initiator of those who walk the mystical path. and fall asleep on the right side of the body. First read any darood 11 times. Then read the following prayer 15 times. 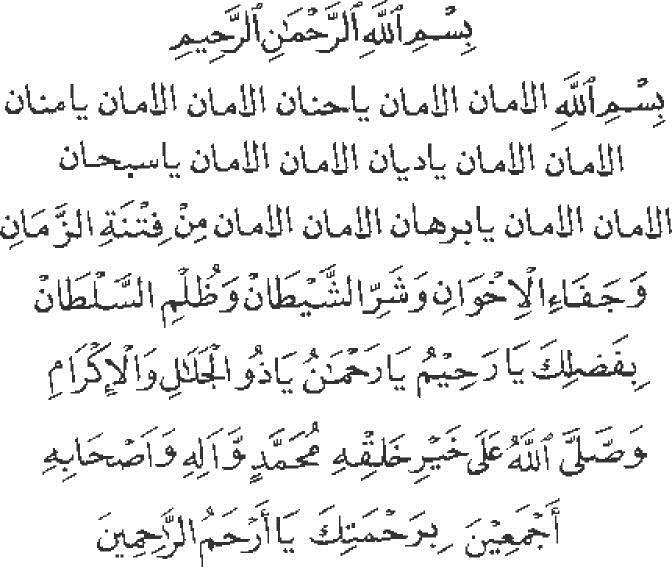 Then end with recitation of the darood 11 times. Ask Allah to send the Hadiya (reward) for the darood to Nabi Muhammad. Then ask Allah Subhana wa Ta Ala to make the meeting take place, insha Allah.